I opened the door the other night to do my standard pre lights out check and clinging to the outside doorframe sat this enormous moth flashing its incredible wings. 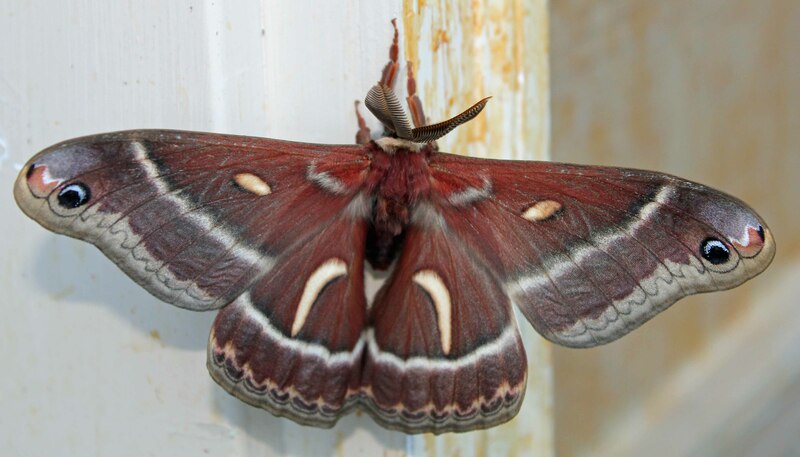 After a considerable amount of research and a lot of photo comparisons it seems to me that the moth in the above picture is a Cercopia Moth, Hyalophora cercopia, the largest moth in North America. Now that alone would be something worthy of a post to the website. But there’s a bit of mystery here. Every reference I consulted while trying to identify this insect maintains that the range of this moth is “East of the Rockies.” Well I assure you that my front porch is not east of the Rockies. Insect ranges, especially the winged variety, are notoriously variable so this should not be a huge surprise but the references I looked at both hard copy and online were very explicit about the Eastern range of the Cercopia. 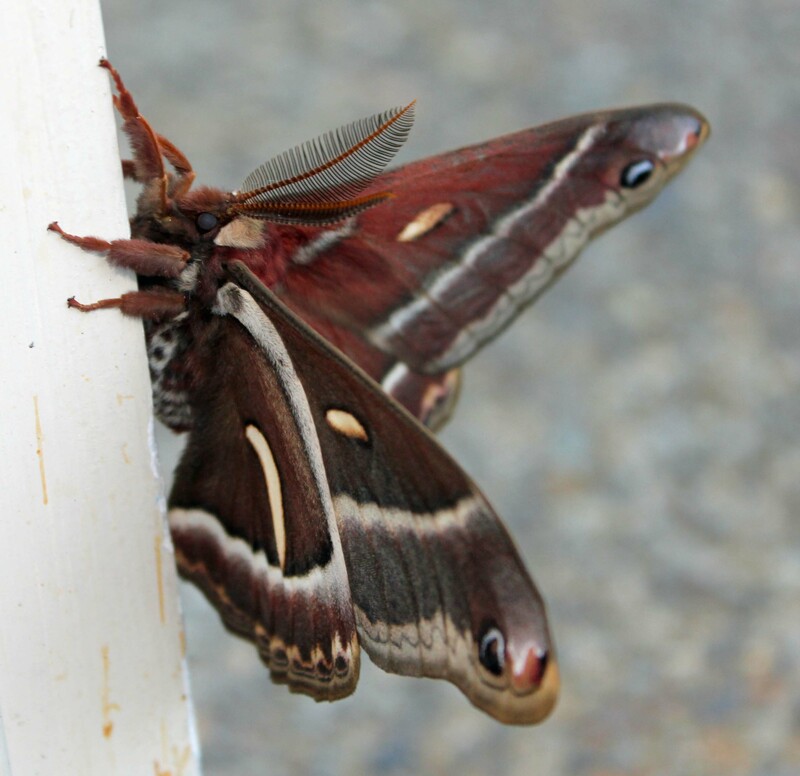 Perhaps we have a beautiful big new addition to our Northwest Lepidoptera population. If anyone out there has a better identification of this insect please let me know. An obviously interesting point about these kinds of visually captivating moths are the distinct “eyeball” designs on the wings used to ward off approaching predators. This particular moth displayed that behavior very clearly, spreading its wings to the fullest extent every time I got too close.